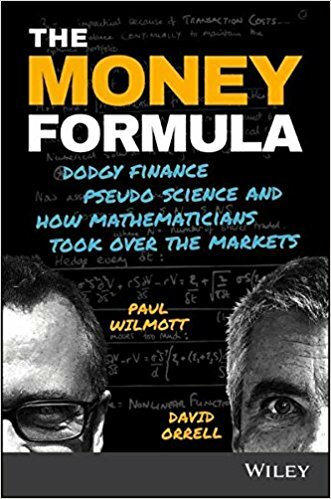 The Money Formula takes you inside the engine room of the global economy to explore the little-understood world of quantitative finance, and show how the future of our economy rests on the backs of this all-but-impenetrable industry. Written not from a post-crisis perspective – but from a preventative point of view – this book traces the development of financial derivatives from bonds to credit default swaps, and shows how mathematical formulas went beyond pricing to expand their use to the point where they dwarfed the real economy. You’ll learn how the deadly allure of their ice-cold beauty has misled generations of economists and investors, and how continued reliance on these formulas can either assist future economic development, or send the global economy into the financial equivalent of a cardiac arrest. Rather than rehash tales of post-crisis fallout, this book focuses on preventing the next one. By exploring the heart of the shadow economy, you’ll be better prepared to ride the rough waves of finance into the turbulent future. How do you create a quadrillion dollars out of nothing, blow it away and leave a hole so large that even years of “quantitative easing” can’t fill it – and then go back to doing the same thing? Even amidst global recovery, the financial system still has the potential to seize up at any moment. The Money Formula explores the how and why of financial disaster, what must happen to prevent the next one.